When a vehicle’s windshield is working properly, a driver should never even notice it. We tend to ignore the windshield until there is a chip or a crack, but it is what we do after that really matters. Damaged windshields pose many dangers, but we here at Freeway have narrowed down three major issues. Read our summary below and see for yourself why it is vital that you address these problems as soon as possible. #1: Less visibility, more danger. The risk created by chips or cracks is directly proportional to how much they obscure the driver’s vision. Even if it is not directly in your sightline, damaged glass can reflect light in unexpected ways– often causing dangerous glare. Anytime a driver is receiving less visual information, they are much more likely to make the wrong call. #2: It risks your safety. Drivers behind a damaged windshield also need to worry about structural dangers caused by a spreading chip or crack. Automotive windshields are designed to keep you safe in case of a collision. If you have a defect that is larger than an inch or it is actively growing in size, you may not be guaranteed the full protection outlined by your manufacturer. #3: It may not be repairable. 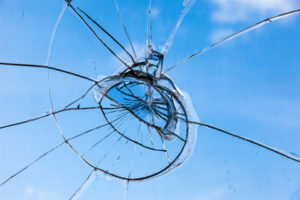 We are busy people, so it can be hard to find the time to bring your cracked or chipped windshield in for prompt repair. Unfortunately, even if it is small and not expanding: waiting too long can be an expensive error. Any ignored damage could be made worse due to washer fluid dyes, dirt, dust, and debris– reducing the effectiveness or possibility of repair. The three dangers above are only some of the complications a vehicle’s windshield can undergo. Freeway’s expert technicians have deemed these the most time sensitive! If you are currently ignoring or putting off windshield repair or replacement, we hope that this article will help explain why you should act now. Questions? Concerns? Contact us today!